Use the eduroam CAT (Configuration Assistant Tool) for setting up the university’s eduroam wifi on Windows operating systems. You will be prompted to enter your central login details during installation via the eduroam CAT. The eduroam CAT (Configuration Assistant Tool) makes it easier for you to setup the university’s eduroam wifi for Windows operating systems. 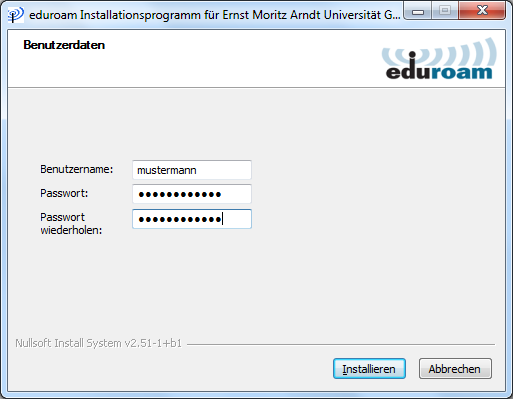 Download the eduroam CAT installation file from the official eduroam page and run the file. During installation you will be asked to provide the login details for your central user account. After finishing the setup wizard you will be able to use eduroam all over the world.